Let's be honest, anesthesia isn’t at the top of your list of research topics when planning your breast augmentation, but it’s an important part of the procedure because it determines the level of pain and consciousness you experience. Will you be awake, semi-sedated or fully sedated? These are questions you have to ask yourself, and the anesthesia you choose must be discussed with your plastic surgeon before surgery. There are four types of anesthesia: general anesthesia, local anesthesia, regional anesthesia, conscious sedation anesthesia. General anesthesia for breast augmentation affects your entire body, not just a specific area. It’s used for all invasive procedures, including breast augmentation. It’s a guarantee you will be fully unconscious and won’t feel any pain during your procedure. General anesthesia is given at the time of surgery as either liquid via IV, inhaled gases, or as both. General anesthesia produces a state of unconsciousness, making you immobile, pain-free and unaware of what's happening. It also "erases" any memory of your time spent under anesthesia. Various drugs and gases can be used alone or in conjunction with others to produce general anesthesia. Ambulatory (outpatient) anesthesia is tailored to meet the specific needs of your particular surgery, allowing you to go home soon afterward. 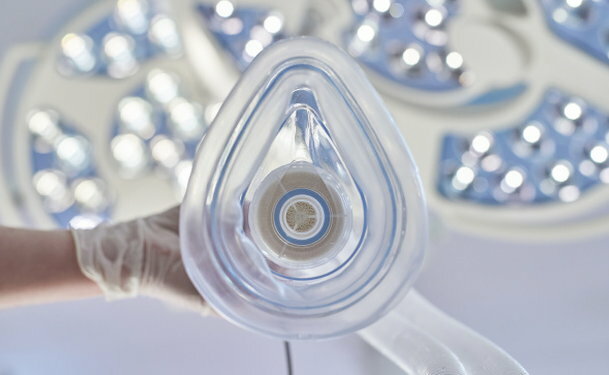 Specialized techniques and short-acting anesthetics are utilized, promoting a safe, effective and comfortable experience. Are there side effects of general anesthesia? You may feel as if you’re extremely intoxicated and trying to stay awake when you really want to be asleep. Nausea and vomiting are possible side effects of general anesthesia, too. However, the majority of anesthesiologists give anti-nausea medication intravenously during surgery, which helps prevent or, at the very least, limit these side effects. You may also experience some delirium, have an elevated heart rate or blood pressure, experience an allergic reaction, or develop a sore throat. Local anesthesia is typically reserved for minor procedures, and it numbs only the area of the body it is injected in. You have probably had local anesthesia for dental procedures, or if you’ve ever had stitches due to an injury. In the case of breast surgery, Lidocaine or Marcaine are often the local anesthetics used. What can I expect from local anesthesia breast augmentation? If you get breast implants under local anesthesia, it will not be given until you have been put under sedation, or twilight, anesthesia. This means you will be awake but may or may not be able to talk to your surgeon during the procedure. That said, you should feel no pain or discomfort, rather sensations of pressure. Is local anesthesia a safe option for breast augmentation? The amount of local anesthesia required for patients to achieve total comfort throughout the procedure is dangerous and can lead to seizures or arrhythmia (irregular heartbeat). The time of the procedure is extended compared to general anesthesia. Most doctors claim the extended time in the surgery room negates the monetary savings of using this anesthetic. This surgery is frequently performed in offices that have not been vetted by an accrediting organization. Most surgeons offering this are not trained or certified plastic surgeons. Instead, most have only participated in a two-day seminar to learn how to perform this type of surgery. Only a few of those hours focus specifically on the challenges that may occur during awake breast augmentation. This form of anesthesia, also known as conscious sedation, uses a small dose of general anesthesia. You remain awake but may or may not be able to speak to your surgeon. Its use of general anesthesia hinders your ability to form memories of the procedure. How is twilight anesthesia administered? Some of the same drugs that are used for general anesthesia are used for twilight, except in smaller doses. These drugs can be administered via gases, such as nitrous oxide (laughing gas), or intravenously, with drugs such as Ketamine and Versed. They provide a light sleep, anxiety relief and amnesia (loss of any memories of surgery). Breathing tubes (ETT or LMA) are not generally used for this type of anesthesia. Is twilight anesthesia an option for breast augmentation? Twilight sleep alone is not used to provide relief from surgical pain; therefore, it is always given in conjunction with a local anesthetic. These anesthetics are also coupled with epinephrine to control bleeding and Valium (or something similar) to relax the patient. Proponents of twilight anesthesia say it reduces the recovery period, nausea and vomiting. However, all of the touching points associated with the disadvantages of local anesthesia breast augmentation apply here as well. Regional anesthesia makes a large region of the body numb by blocking the nerve supply. However, the patient is not unconscious. If you’ve ever had an epidural or a spinal block, you’ve had regional anesthesia. In many ways, regional anesthesia is much like local anesthesia, except regional is used for a larger area of the body. Is breast augmentation under regional anesthesia possible? Regional anesthesia is not used for breast augmentation surgery. In addition to the high pain level regional anesthesia involves for patients, many doctors agree that an expert result cannot be achieved without the patient being completely under. This allows for the muscles to relax and gives the doctor an opportunity for full attention to be on the procedure while an anesthesiologist monitors your body under the medication. General anesthesia meets these requirements. How to choose which anesthesia is right for you? As you can see, there are several types of anesthesia that can be used during breast augmentation surgery. Which one you receive will depend on implant placement, the facility your breast augmentation is being performed, your plastic surgeon's preferences and your overall health. What type of anesthesia do you recommend for my breast augmentation procedure? Why? What are the risks associated with the recommended anesthetic? How do you handle these emergencies? Do you give written preoperative instructions? Will you be administering the anesthesia, or will it be someone else? Will I meet with this anesthesiologist before my surgery? When and where will I recover from the anesthetic? What common side effects should I be aware of and how should they be addressed? Anesthesia does come with risks, but major side effects and complications are rare. Anesthesia should always be administered by a certified registered nurse anesthetist (CRNA), which may be referred to as an anesthesiologist or nurse anesthetist. She will determine your personal risk profile, so be sure to expel any previous complications you've had with a chosen anesthesia and which type of anesthesia you had a problem with.